To tell the story, I handed students the characters that Stephen references in his speech to the Sanhedrin. As I recapped Stephen's speech, I had them place the characters on a table up front next to Stephen and the Sanhedrin. I could not find suitable images for the Sanhedrin among the Bible people images, so I used what I call bobble head images from Free Bible Images to make those guys you see below. You can access them here. 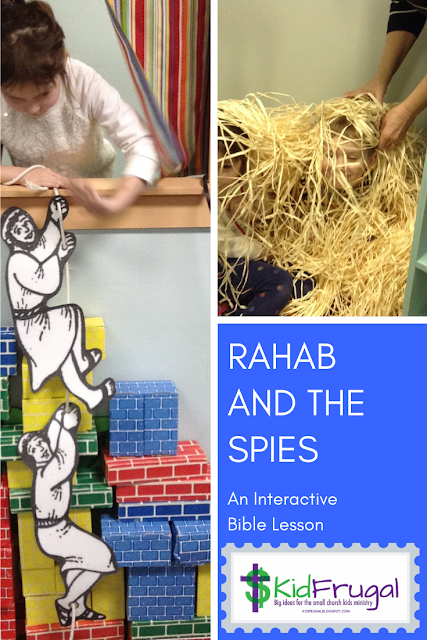 One of the main points I brought home from this story was the importance of forgiving others. 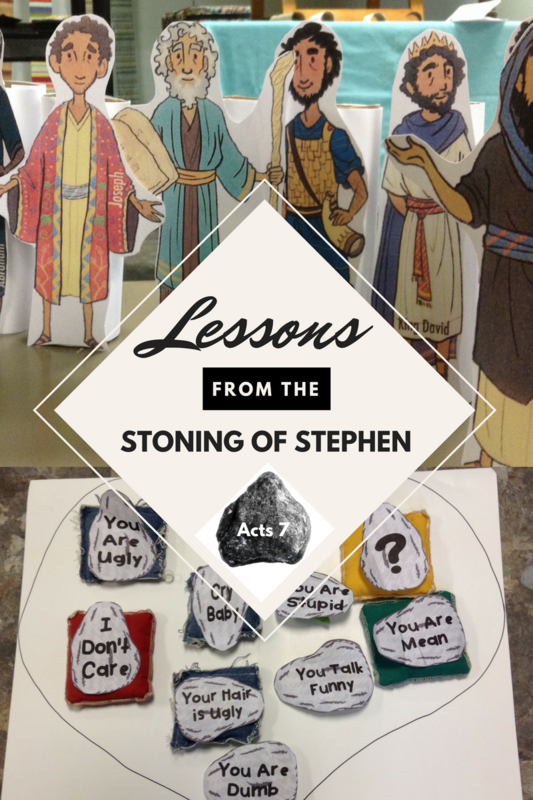 We compared the stones hurting Stephen when people threw them to how words can hurt us when people say mean things to us. Then we played a game to help us practice forgiveness. I drew a heart on poster board to represent our hearts. Then I took bean bags to represent stones. I taped different insults on each bag. Kids ran one at a time up to the heart and chose a bean bag. They ran back to the group and read the comment on the bag. Then we all said in unison, "I forgive you." Then the child with the bean bag tossed it in the garbage can from where they were standing. When the "heart" was cleared of the stones, we talked about how forgiveness clears our hearts of hurts and bad feelings. The "stone" with the questions mark allowed any student to make up an insult you might have to forgive. It was the last one to go. The rocks images and insults came from Cathy Whitacre on the Bible Fun for Kids blog. The idea for the game came from Abby Burg's old blog on Acts.